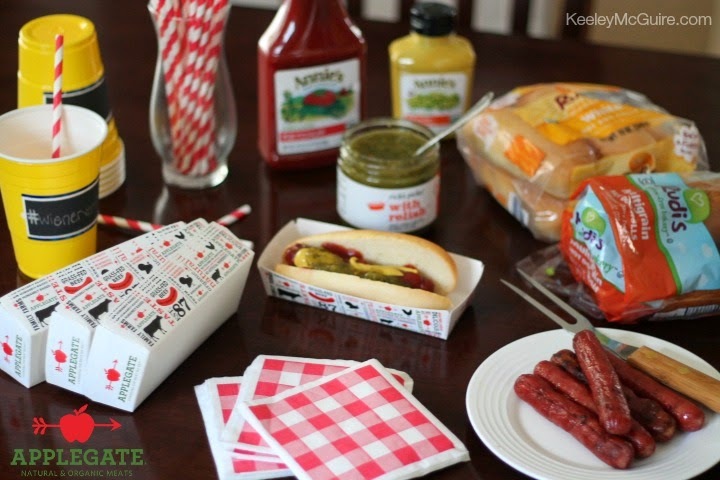 Gluten Free & Allergy Friendly: National Hot Dog Day: WIN a #Wienervention Kit from @Applegate! 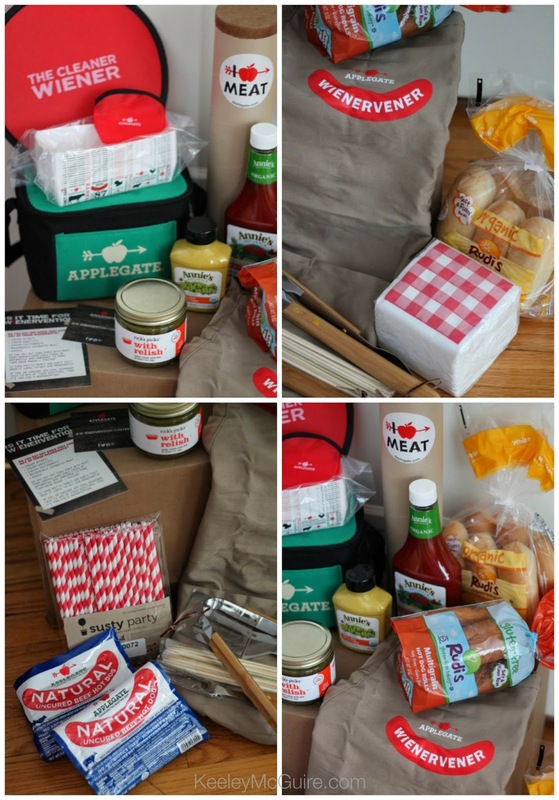 National Hot Dog Day: WIN a #Wienervention Kit from @Applegate! Applegate is known for their delicious natural and organic meats. Up until recently, I couldn't buy their products locally but am so happy that a couple of my stores are now carrying their yummy products - including their cheeses, lunch meats, bacon, frozen foods, and hot dogs. Lets be real here for a minute: Hot dogs are not exactly considered "good food". We all know the brands out there that make the mystery meat logs and it can be... scary to think about. Sodium nitrates... meat hooves... antibiotics... hormones... Ick! However, they're delicious. 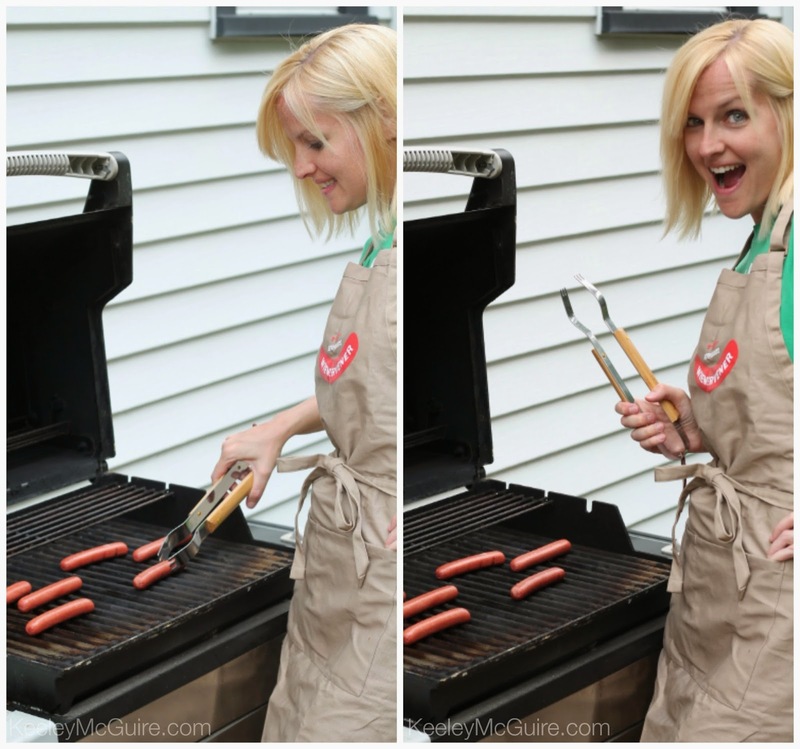 I can't resist a grilled dog in the summer time. That's why I'm thankful for Applegate! Their hot dogs are natural, gluten free, contain no fillers, no antibiotics are used on the animals and they're humanely raised. When our kit arrived, Little Miss and I were so excited to check out its contents! 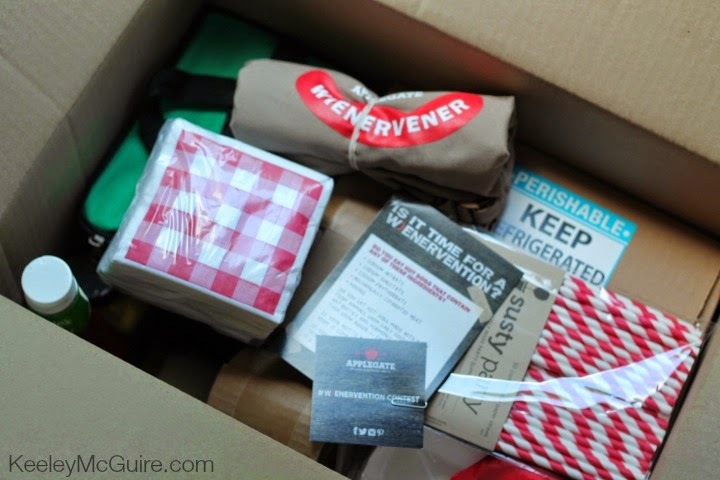 Our kit included a set of new grilling tools, skewers, Susty paper straws and napkins, an Applegate "Wienervener" apron, mini Applegate cooler, frisbee, hot dog trays, Applegate Natural Uncured Beef Hot Dogs, Rick's Pickle Relish, Annie's Organic Mustard, Annie's Organic Ketchup, and Rudi's Hot Dog Buns (both white and gluten-free). This past Sunday, we spent the day at the beach. Our first time getting out there this summer. Sad to say, we live 45 minutes from Lake Michigan and just don't get out there enough! We're always so busy or the weather just doesn't cooperate when we're able. After a day in the sun (getting unpacked and showered up), I knew it was the perfect evening to grill out and enjoy our #wienervention! The Applegate dogs cook quick and I noticed they hold together much nicer than other brands - usually they tend to split or bust when grilling, it seems. Of course my adorable sous chef had to get in on the action. 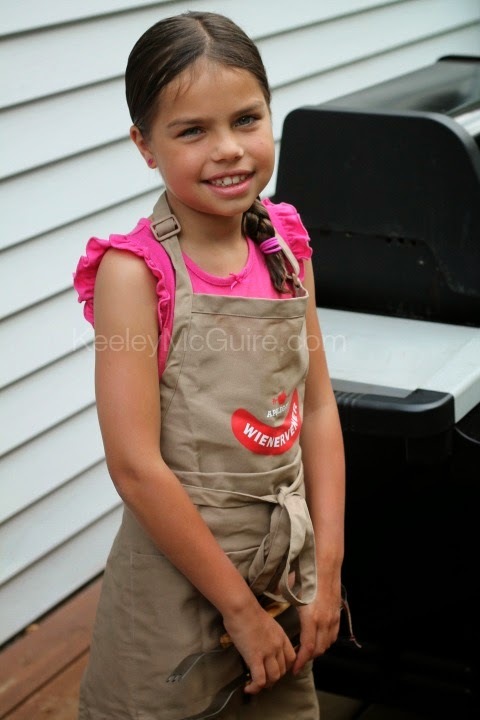 ;) I let her wear the apron and help me turn the hot dogs on the grill (supervised, of course). For the rest of our meal, we had organic corn and watermelon on the side to go with our yummy Applegate Hot Dogs and Rudi's Buns. It was great for us because we were able to throw more hot dogs on the grill and share with the neighbors! Lots of delicious organic toppings and soft buns to go around. Little Miss and the fella aren't big on relish... but it's my faaaaaavorite. I can't have a hot dog without it! I am one of those people who will sneak to the fridge and eat it with a fork right out of the jar. True story. 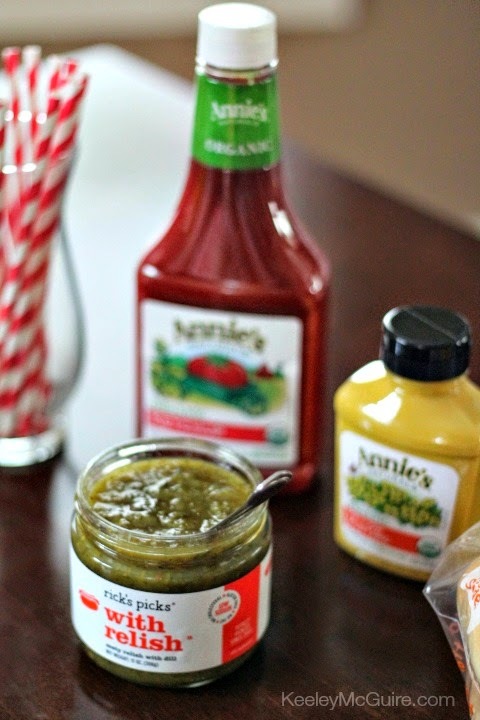 Thankfully, we already buy Annie's Organic Ketchup and so the ketchup and mustard were a huge hit with everyone. Myself included. I must say I'm impressed and we will be making the switch to The Cleaner Wiener. It's not only better for my family, but better tasting and more filling! Don't forget to join the conversation online! 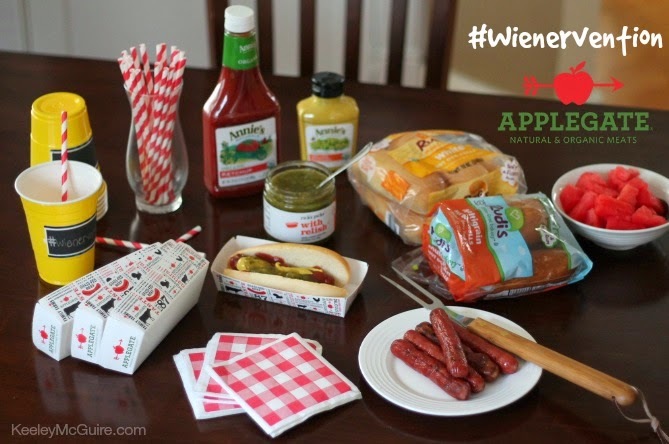 Tweet or post photos with the hashtag #wienervention and be entered to WIN a year supply of Applegate's Cleaner Wieners! There are also printable coupons on their website so you can start grilling today. 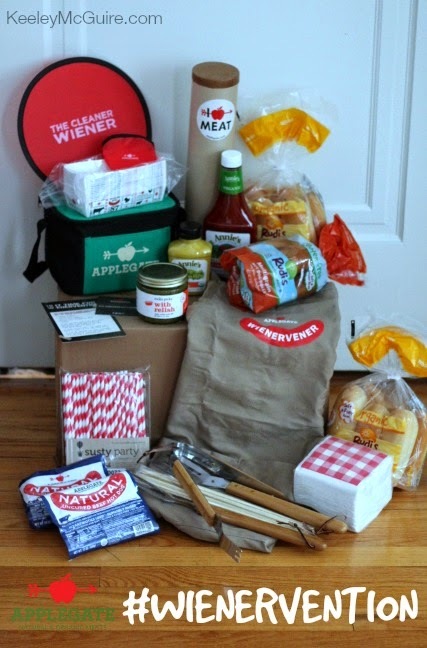 Right now, you can enter to win a #Wienervention Kit of your very own thanks to Applegate! Enter via the rafflecopter widget below. One winner will be randomly selected at the end of the contest. They will have 24 hours to respond and claim their prize. Prizes will be sent to the winner directly from Applegate. US mailing addresses only. Thank you! Love this!! Love my hotdog grilled on a warm bun with ketchup and onions! 😊! Love this and I love hotdogs with chili and cheese! Grilled with shredded cheese. Yum! Love hot dog with mustard and onions! I always buy Applegate, because I don't want mystery meat or chemicals in our food. Applegate is the one I buy when the guys wear me down to have hot-doggy night ;-) I like it with tons of slow cooked onions on top! We love Applegate!! Who couldn't use a wienervention! With all the boys I've got over here...I could really use one! LOL! Ketchup, Mustard, & Sweet relish....YUM! Now I want a hotdog! Ketchup and mustard only. boring, I know! I love mine with mustard and pickled yellow peppers. I only eat Applegate hotdogs (except on rare occasions when I'm at picnics and I'm hungry). My favorite way to have them is with Annie's Homegrown Macaroni and Cheese (usually the Whole Wheat Shells and White Cheddar with added broccoli and/or spinach). I've never been a bun and hotdog fan, but now that I found hotdogs I like, maybe I'll try cooking some over the fire pit and I'll serve them with mustard (some good spicy brown or dijon mustard). And, honestly, I'm also a little curious about the Gluten Free buns. I've been wanting to try GF bread, but it's too expensive to buy just to try it, so winning this would be fun. I love to warm the bun and I love to top my hot dogs with baked beans. Its my favorite way to eat my hot dogs. Grill the dog and the bun and put on mustard, relish and tomatoes. I love hot dogs wrapped in bacon and broiled! Ketchup and mustard is the way to go! Grilled, and sliced down the middle to hold my ketchup and mustard. Top with sweet onions. grilled with mustard, ketchup, chili, cheese, and jalapenos! On The Grill is the best...Than i add ketchup, Mustard, and Onion....sometimes relish! We like to grill them then add ketchup,mustard,relish and onions! I love to grill hot dogs and onions together on the grill. I love to eat it with ketchup and I always heat the hotdog roll in the microwave first.